Vans has again collaborated with Deluxe, with the resulting product being the beautifully executed ‘Zapato del Barco’ boat shoe. 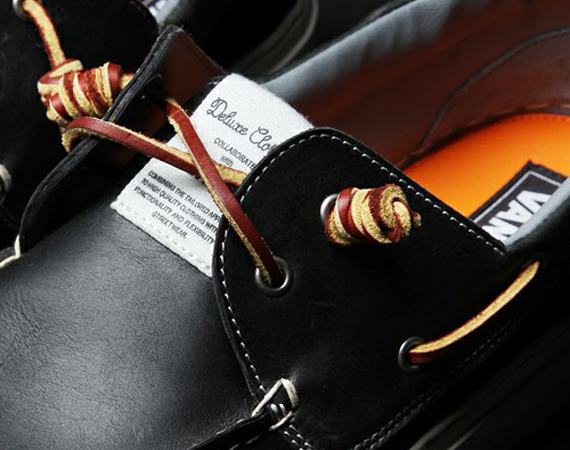 Now we know that the boat shoe has been done time and time again this season, but this release is worth noting for its fine details, including a 100% black leather upper, brown lacing, deluxe tag on the tongue, and a striking orange insole. These shoes will be available Nov. 17th at Dedue.